Ubuntu MATE became an officially supported family member not so long ago. 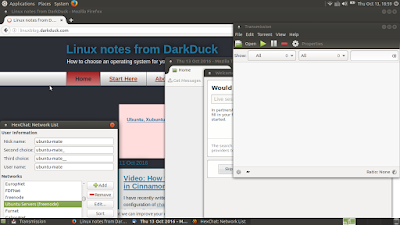 Linux notes from DarkDuck have already published a review of Ubuntu MATE 16.04. The new family of Ubuntu 16.10 distributions was released on the 13th of October 2016, just last week. 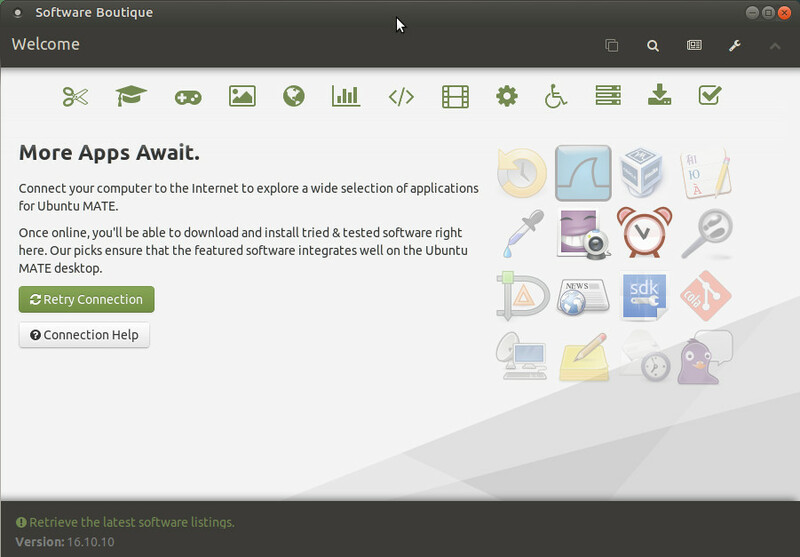 Let's have a whistle-stop tour on some features of Ubuntu MATE 16.10. 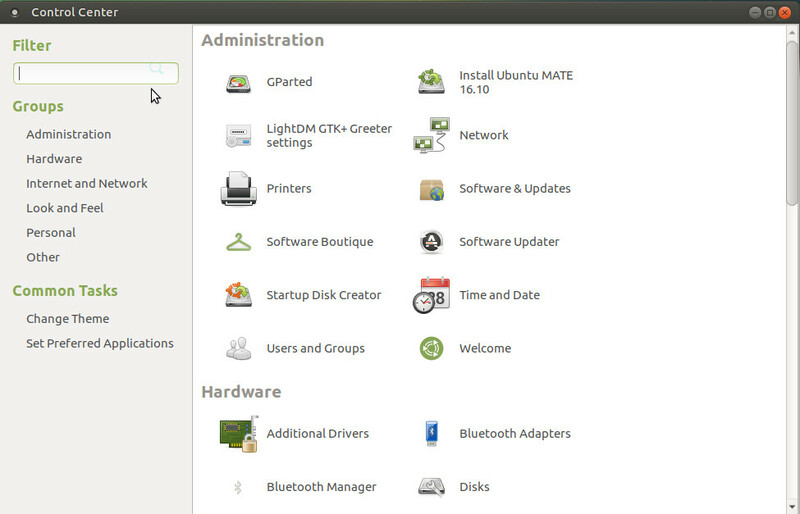 Once booted into Ubuntu MATE, the welcome screen meets you. The freshly booted system takes just under 800 Mb of memory, which is quite a lot! 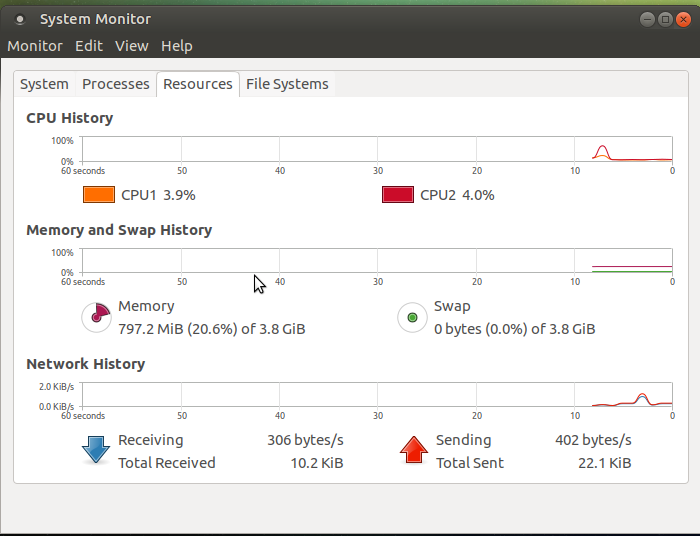 And definitely a big difference with 360 Mb of memory in the 16.04 version. 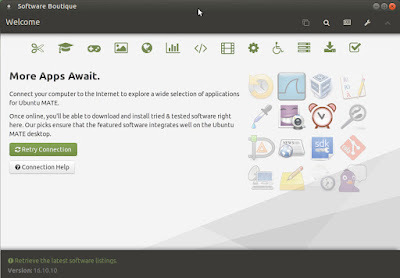 Ubuntu MATE 16.10 comes with the full suite of LibreOffice 5.2.2.2, including Draw and Math applications. Translation and document viewer application are also included in the default distribution. Firefox, Transmission, HexChat and Thunderbird are the Internet tools in Ubuntu MATE 16.10. There is no Internet Messenger application. 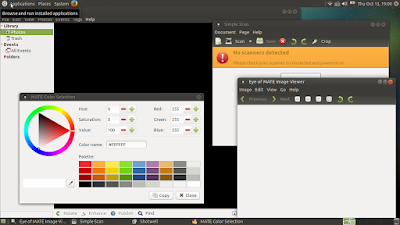 Graphical tools in Ubuntu MATE 16.10 are represented by Image Viewer, Simple Scan, Colour Selection utility and Shotwell photo manager. 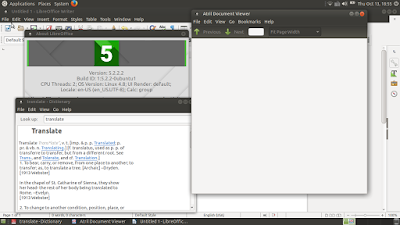 Of course, LibreOffice Draw is here too, as I mentioned above. Screenshot utility is also included, but not listed in the Graphics section of the menu. GIMP is not included. 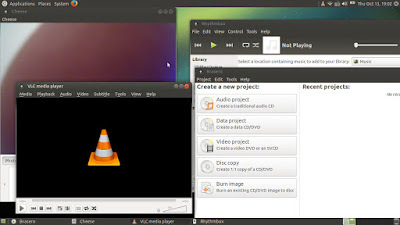 Ubuntu MATE 16.10 comes with VLC player, Rhythmbox media manager, Brasero disk burning utility and a webcam application. There are no other applications in the Sound&Video category like video editor or screencast recorder. 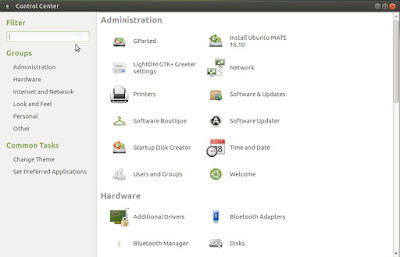 Configuration of Ubuntu MATE 16.10 is generally placed in the Control Center that gives you access to various parts of the system settings. 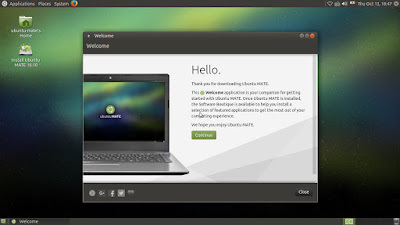 If you need to install or remove software, then Ubuntu MATE 16.10 provides you with a software centre which has a fancy name "boutique". Welcome to the shopping mall! Have you tried Ubuntu MATE 16.10 yourself yet? If not, it is not too late to order your personal disk with this distribution. Thesis Geek - professional dissertation writing service. MyHomeworkDone.com can help with any subject, from math to biology. With Ewritingservice.com you will never have to write a paper again!